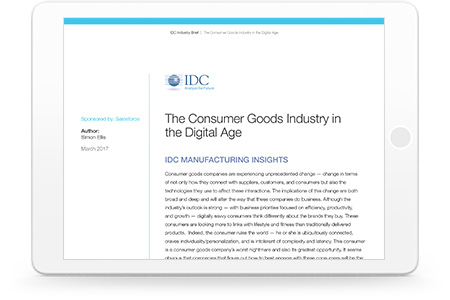 IDC predicts that 90% of consumer goods industry growth over the next decade will be captured by companies that succeed at direct engagement with consumers. Learn more about consumer products and retail marketers’ biggest priorities, success measures, and challenges. Download the report now.